28: Points scored by Toro Rosso-Honda so far in 2018. McLaren-Honda scored 30 in the whole of 2017. Two days after the Hungarian Grand Prix, and the Hungaroring paddock is still bustling. Usually, the race between teams to pack up and head home after a grand prix is as competitive as the on-track action, but Hungary is different: most of the teams stay on at the circuit for an ultra-rare in-season test. Walk through that paddock, dodging teams shuffling tyres or unpacking crates containing new parts for testing, and you’ll find a small cherry blossom, pristinely maintained and fully in bloom, positioned carefully right outside Honda’s hospitality unit. It’s a bit of national symbolism: to the Japanese, sakura represent the beauty and fragility of life, a sign of renewal and a reminder of the fleeting nature of life. There are more cherry blossoms inside the hospitality unit, alongside symbolic motifs: the dining tables have been finished with a river-style design and in the corner is a coffee table made from 50,000-year-old kauri wood. The unit is designed to house the 20 or so Honda engineers who attend each grand prix and the firm’s various guests, and the overall vibe is calm and peaceful – an incongruous contrast to the music loudly blaring from a multi-storey behemoth of a unit next door. That would be the Red Bull Energy Station, a hospitality unit so large it takes 32 trucks to transport it to a race and travels with its own catering unit to feed the team who spend three days assembling it ahead of every grand prix. Despite the differences, the occupants of those two hospitality units are now bound together. After three tortuously difficult years with McLaren ended in a messy public split, Honda has been supplying power units to Toro Rosso, Red Bull’s junior team, this year. Next year, Red Bull’s main team will also use Honda power. The McLaren-Honda relationship started in 2015 amid huge expectations shaped by memories of their previous union, from 1988 until 1992, which netted four drivers’ and four constructors’ world championships. The reunion caused such hype that many overlooked the form of Honda’s works team, which sheepishly quit Formula 1 at the end of 2008 after a dismal showing. After three years of frustration, McLaren was prepared to forego the substantial sponsorship Honda provided the team with and look elsewhere, with Toro Rosso the Japanese firm’s only real option for 2018. Such were the doubts over Honda’s ability to produce competitive power that an earlier supply agreement with Sauber led to the Swiss team’s management being ousted before the deal was annulled. The Toro Rosso deal seemed a major step back: since being bought by Red Bull 12 years ago, the Italian outfit has operated as the drink firm’s ‘B-team’ and, after entering the sport as Minardi in 1985, has won only a single race. Yet you sense the subsequent reduction in expectations has been somewhat cathartic for Honda’s staff, reflected in the tranquillity and calm that matches the furnishings of their paddock set-up. That’s certainly the impression you get talking to Toyoharu Tanabe, who moved across from Honda’s successful IndyCar engine programme to serve as technical director of the F1 programme or this year. Asked if Toro Rosso has been easier to work with than McLaren, he demurely replies: “I have no experience working with McLaren.” Having exercised his easy get-out clause to a difficult question, he pauses. And then continues. That’s the closest Tanabe comes to criticising McLaren. And he clearly doesn’t want to dwell on the past, or what went wrong. But there is an acknowledgement that Honda was caught out by the sheer complexity of the powertrain rules. “Current Formula 1 is a little bit difficult,” he says, with an air of understatement. “It’s completely different from the previous era of F1 and the regulations are the most aggressive compared with other categories. On track, the odd-couple Toro Rosso-Honda partnership has shown flashes of form. 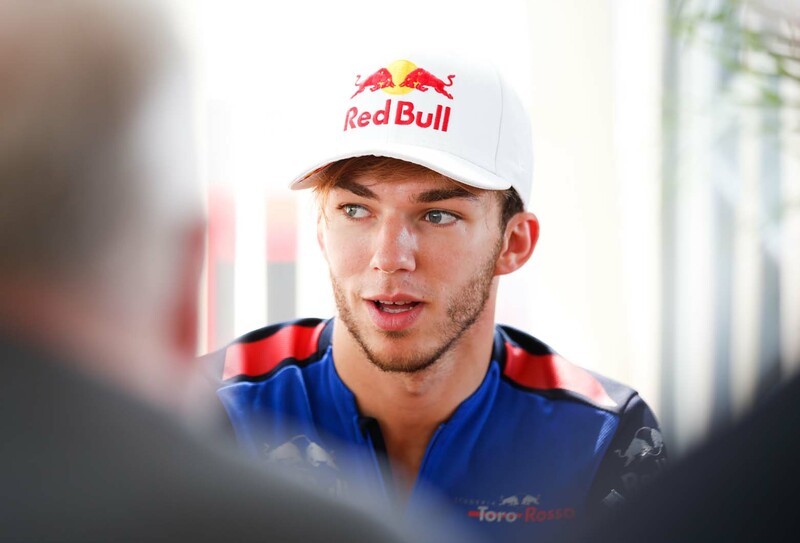 Despite the late deal putting the team behind (“We’ve had to work very hard” to catch up, says Tanabe), in Bahrain, the second race of the season, Pierre Gasly claimed a superb fourth place. That bettered the highest finish Honda managed in the previous three seasons with McLaren. Toro Rosso-Honda’s form has fluctuated since then, the team battling to emerge from F1’s crowded pack. 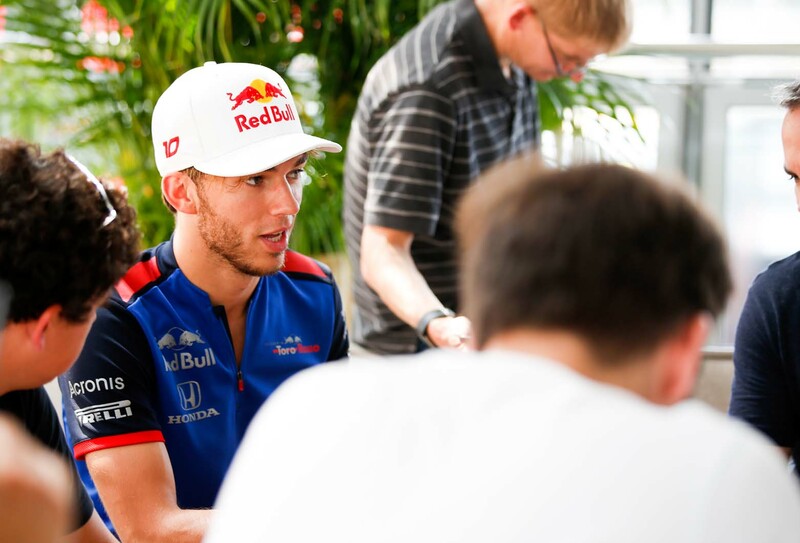 Then in Hungary, the final race before F1’s summer break, Gasly secured another strong finish, in sixth. 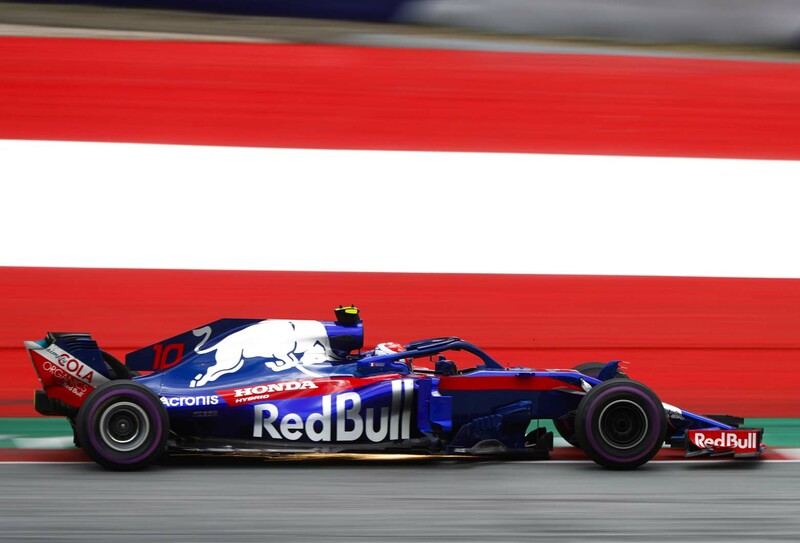 Tanabe describes that Hungary result as “encouraging”, and that was best illustrated in qualifying: in difficult wet conditions, Gasly and team-mate Brendon Hartley qualified sixth and eighth respectively, sandwiching Red Bull driver Max Verstappen. 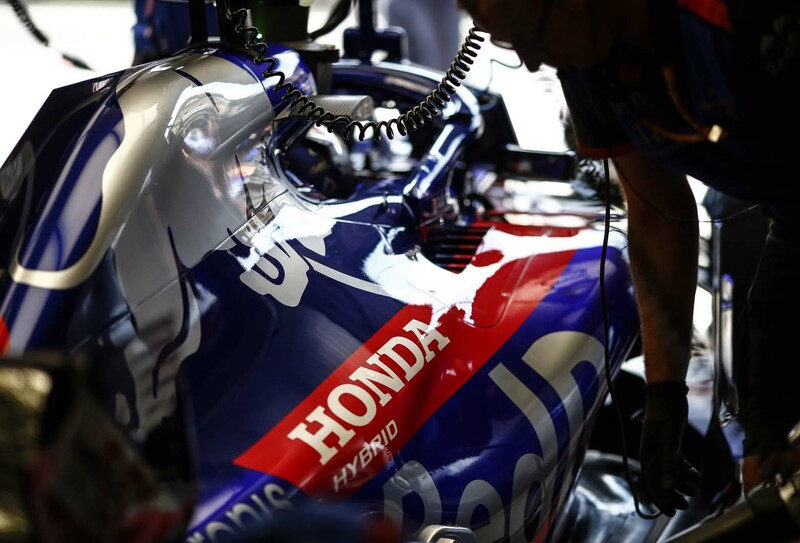 According to Hartley, that result highlighted a real strength of the Honda engine. Despite the progress, it’s clear the Honda power unit is still not a match for rivals. Tanabe’s solution to this problem is admirably simple: “We have to try to close the gap and make more power.” He won’t specify how exactly Honda plans to achieve that but notes that “we are thinking”. There will, assuredly, be more than double the pressure. Red Bull is a proven title-winning squad and has input from star designer Adrian Newey, a rising star driver in Verstappen and a firm belief that it has had the best chassis in F1 in recent years. Oh, and a history of outspoken criticism of current engine supplier Renault’s efforts. The level of pressure is likely to be as big as the oversized, 32-truck Red Bull Energy Station. Red Bull star Daniel Ricciardo’s shock switch to Renault for 2019 opened up a seat in one of F1’s top three teams, which has since been filled by 22-year-old Pierre Gasly, who has starred for Toro Rosso this year. We spoke to him before the move was confirmed. How’s your relationship with Honda? Are you ready to move up to Red Bull? How tough is F1, mentally and physically? If you had a Red Bull chassis, could you have won races this year? HONDA R&D COMPANY 1964-1968: Honda entered F1 with a full constructor team the year after its first road car went into production, with Richie Ginther taking its maiden victory in the 1965 Mexican Grand Prix. John Surtees claimed another win in Italy in 1967, but the squad struggled to produce a consistently competitive chassis. It withdrew at the end of 1968, following the death of driver Jo Schlesser at Rouen. ENGINE SUPPLIER 1983-1992: Honda returned to F1 in 1983 with the tiny Spirit squad and through the 1980s achieved plenty of success as a supplier, particularly with Williams, Lotus and McLaren. The high point was the 1988 season, the last in F1’s turbo era: using Honda engines, McLaren won 15 out of 16 races. Honda engines won 69 races during this period. ENGINE SUPPLIER 2000-2005: Having maintained a presence in F1 with semi-works Mugen-Honda engines, the firm returned as a supplier with BAR in 2000, also supplying Jordan in 2001 and 2002. Although there were no wins, BAR did finish second to Ferrari in the 2004 constructors’ championship. HONDA RACING F1 2006-2008: Honda bought the BAR squad for 2006 to become a full constructor. After a solid first season – highlighted by Jenson Button’s victory in Hungary – the team struggled badly in 2007 and 2008. With the firm in financial trouble, Honda sold up at the end of 2008. It was bought by Brawn GP, which, using Mercedes engines, won both titles in 2009. ENGINE SUPPLIER 2015-present: Lured back to F1 by the hybrid turbocharged regs, Honda has struggled for both pace and reliability. In three seasons with McLaren, the highest finish it achieved was a fifth place. The Toro Rosso- Honda combo has scored five points finishes so far this year. I don't know what lured them back, I'd have thought the complexity of the power unit and rigidity of the testing rules would have kept them away, probably the worst time in F1 history to come in as a new engine supplier. They're either mad or brave, or just have money to burn. I hope they do prove competitive with redbull, fingers crossed. Actually the V10s of the early 2000s were quite something. hitting a rumoured 1000bhp.. They will succeed with Red Bull Racing. They have shown their engineering brilliance in every era of F1. Their 1.5L V6 turbos, V10s, and V12s of the late 80s and early 90s were best in class. Their naturally aspirated V10s and V8s were always a top 2 engine. Their last foray as a constructor, wasn't as successful though, but once they improved their aero for their 2009 car, they dominated, albeit with a different engine. In this current era of F1, Honda started even further back than the year of their return would suggest. Before their announcement with McLaren for a return to F1 in 2013, they would have had a prototype running by 2012 at the earliest. After several years consulting with the existing engine manufacturers - Mercedes, Ferrari, and Renault - the FIA announced the new PU format in 2011. You can bet those manufacturers already had advanced prototypes running during those years of consultation. Upon its return in 2015, Honda also had to homologate its 1st generation PU - before it was even raced. Crucially, everyone else had a whole season of competition to iron-out defects and improve their PUs. Add to that, the development token penalty system, and McLaren's "size zero" concept, and Honda were significantly restricted with its development. With the development token and size zero shackles off, Honda were free to develop their desired 2nd generation PU, which has steadily shown good progress. Their first year with it in 2017 was also going to naturally show issues, but only its second year, it's already matched Renault's performance - perhaps even bettered judging on performances in Spa and Monza - and arguably bettered Renault's reliability too. Ferrari and Mercedes will still be significantly ahead, but at this rate, I'd expect Honda will close the gap to them even further in its PU's third year. Apologies but Alonso now has a Renault engine and it’s scraping not scrapping. It is true that a lot of things have changed in Formula one compared to previous era. And I belong to that group which believes that these new regulations have actually taken away the thrill of Formula one racing.